Israel may file its own war crimes suits to foreign courts against top Palestinian officials and freeze the transfer of monthly tax revenues to Palestine in response to its application to the International Criminal Court, Israeli official sources said. Palestinian president Mahmud Abbas, his Palestinian Authority and other senior officials may be sued by Israel in courts in the US and other countries, an Israeli official told AFP. However, he didn’t specify where and when the legal proceedings against the Palestinian leadership would be launched. 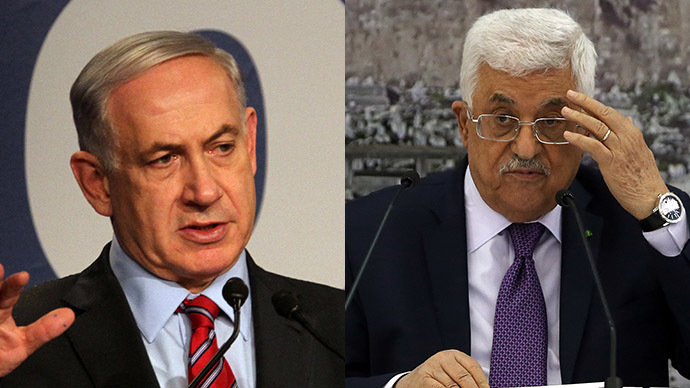 Abbas should be prosecuted for his partnership in a Palestinian national consensus government with Hamas, which makes him an accomplice to the Islamist militant group's rocket attacks on Israeli civilians, the source declared. “In recent days officials in Israel stressed that those who should be wary of legal proceedings are the heads of the PA (Palestinian Autonomy), who cooperate within the unity government with Hamas, a declared terrorist organization which like the Islamic State carries out war crimes – it fires at civilians from within population centers,” he said. The military wing of Palestinian Islamist organization, Hamas, has been fighting Israel for independence since late 1980s. It’s considered a terrorist group by Tel-Aviv, as well as the countries like Australia, Canada, Egypt, Japan and the US. IDF’s war against Hamas this summer has cost the lives to 73 Israelis and around 2,200 Palestinian, who were mainly civilians. The Palestinian national consensus government was formed in June after Hamas and Abbas's Fatah movement signed a reconciliation agreement to end seven years of rival administrations in Gaza and the West Bank. Another Israeli official told local Haaretz paper that Tel-Aviv will also punish Palestine for their International Criminal Court bid (ICC) by freezing the transfer of half a billion shekels (over $127 million) in monthly tax revenues it collected on behalf of the Palestinians. 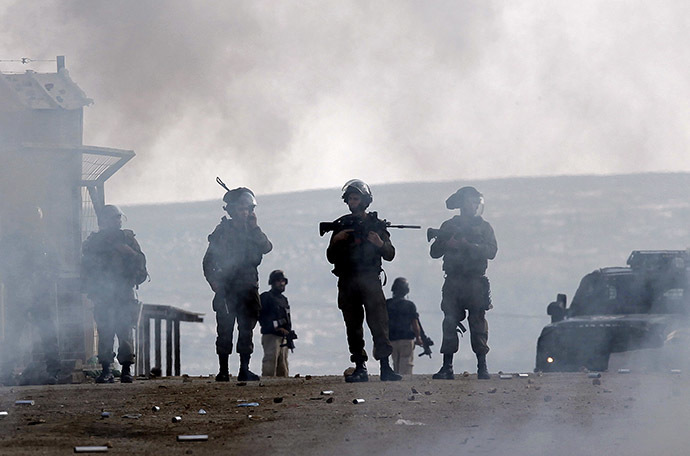 "The funds for the month of December were due to pass on Friday, but it was decided to half the transfer as part of the response to the Palestinian move," the source said. Israel collects around two thirds of the taxes in Gaza and the West Bank before returning the majority of the sum to the Palestinians to run government and pay salaries. The reported decision to freeze tax money was made after the Thursday’s meeting of government and security officials chaired by Israeli PM, Benjamin Netanyahu and dedicated to working out a response to Palestinian ICC application. In a statement released after the meeting, the prime minister said that the Hague court should reject the "hypocritical application by the Palestinian Authority" because “the Palestinian Authority is not a state." 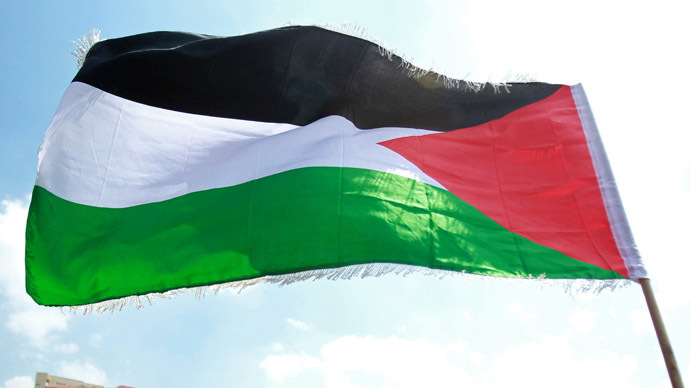 On Friday, Palestine formally presented a request to the United Nations to join the International Criminal Court (ICC). The move indicates a shift in strategy by Abbas and his government as they’re trying to internationalize their push for statehood and distant itself from the stalled US-led peace negotiation process. UN Secretary General Ban Ki-moon is to review the Palestinian application and notify state members on the request within 60 days.